We are still about a month away from the initial launch of the Samsung Galaxy S5, so Samsung is taking every opportunity to provide you with more detail about not only their new flagship, but its wearable friends too, the Gear Fit and Gear 2. Through two new videos posted to their YouTube channel this weekend, Samsung has given us 15 minutes of combined “official” hands-on time with each. The videos aren’t as detailed as we’ll get with our full reviews, but they do offer you a solid overview of some of the new features of each. 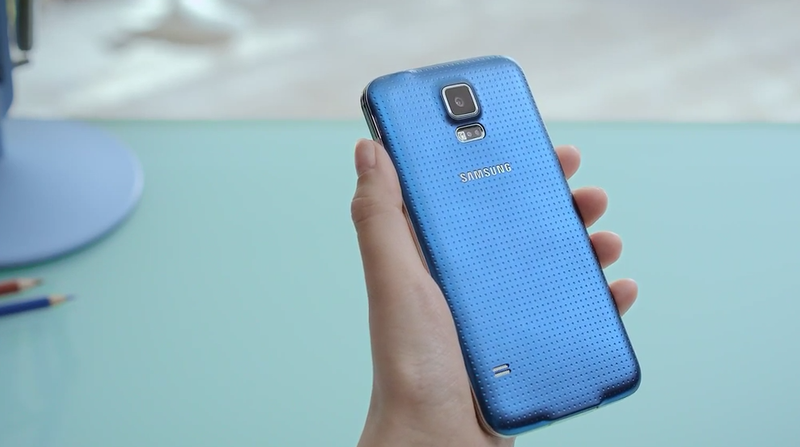 While watching the GS5 video, you will see the new Galaxy S5 camera features (HDR video, selective focus, etc. ), how the fingerprint scanner works, what kinds of speeds you’ll get with Download Booster, and how using Ultimate power saving mode (yes, that’s the official name) will turn your phone to grey-screen to extend life. In the Gear videos, you’ll get an overview of the differences between the Gear 2 and Gear Fit. The focus is clearly on how they can help you reach fitness goals, since each has heart rate monitors built-in, but Samsung also takes you through their use cases as companion devices for your smartphone. Both are worth a watch if you are at all considering the new Galaxy S5 or its Gear pals. Don’t forget, we also spent some time with the Galaxy S5 as well a couple of weeks back. We have hardware and software tours, video of the heart rate monitor and fingerprint scanner in action, and comparison videos of the GS5 to all sorts of other phones.